The MGM Grand Garden Arena was looking for a unique center piece for a major high roller event. Braun was tasked with designing and creating a “Tree Of Life” that would serve as an entertaining photo opportunity for their “Invite Only” guests. 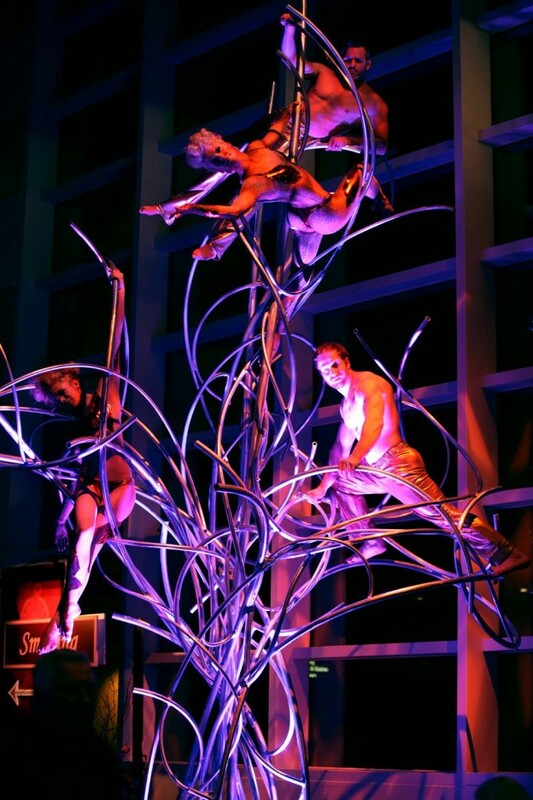 Braun Productions designed the tree to safely hold as many as 7 individual performing aerialists in what became a spectacular conversation piece. Braun Productions retained the piece as a part of it’s deal with the MGM and the “Tree Of Life” is now available for hire for private and corporate events as well as for trade shows and live theatrical productions. CLICK HERE for more information on the rental of this amazing piece. This entry was posted on January 5, 2014 by Eric Braun.